A few weeks ago I spent a wonderful weekend in Innsbruck, Austria. Innsbruck is supposed to be the capital of the Alps and happens to be the city where I studied. Although it’s not far from Munich, I hardly ever get there. Hence, I was so inspired while walking through well known streets and discovering old and new corners of this beautiful little city. Moreover, I enjoyed the dramatic scenery of the Alps that are literally on your fingertips. 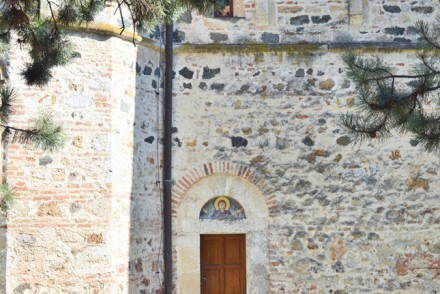 As you know by now, I was also inspired to take impressions from the place and transfer them to a space. 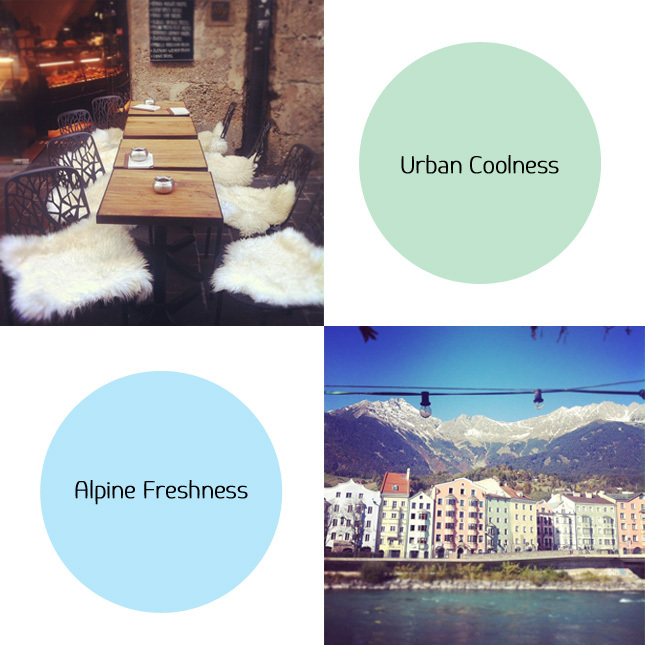 How do you see an alpine inspired interior design? I see traditional wooden furniture and home decoration reinterpreted in a slightly quirky and colourful style, like these funny stag heads. I strongly believe that tradition and design have an unparalleled power when mixed together and served as a new creative idea. Fancy a trip to the Austrian Alps? 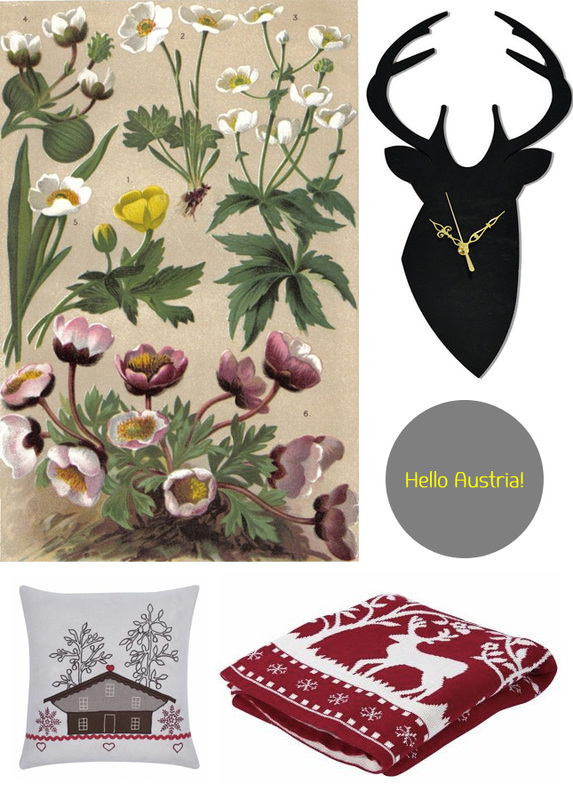 Photography: Alpine notes via Etsy; colourful stag heads via Design3000; red Sigurd bench via Ikea; Innsbruck photography by Igor Josifovic; vintage lithography via Etsy; stag head clock via Etsy; Alpine lodge cushion and Alpine blanket via Butlers. I love the Mighty Notes notepad. 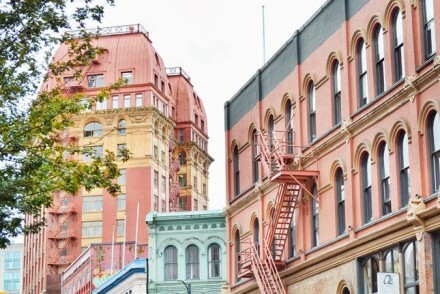 The candy coloured facades are also right up my street! Have a fab week! 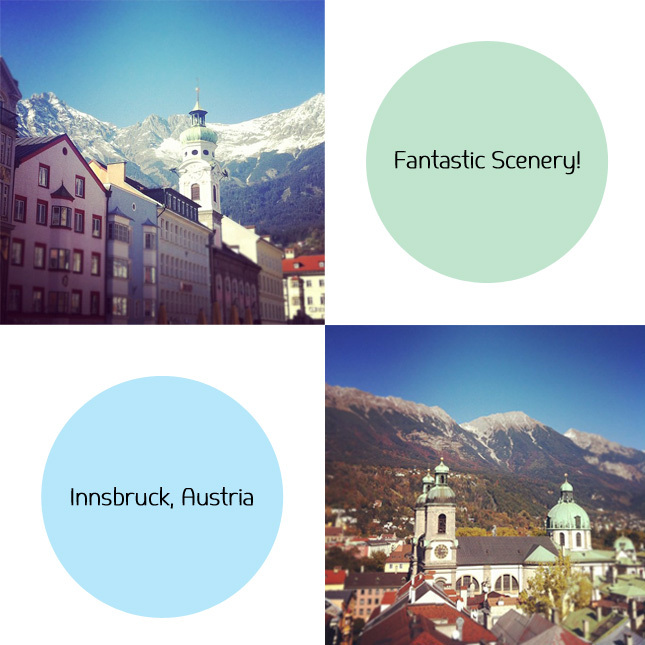 I love Innsbruck…that whole part of Austria and Germany is one breathtaking vista after another. I’m really enjoying your “From Place to Space” series! Very inspiring. 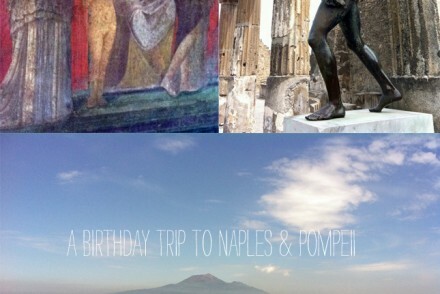 What a great blog post, love it! This is great Igor. I love the notebook. Thanks for sharing! 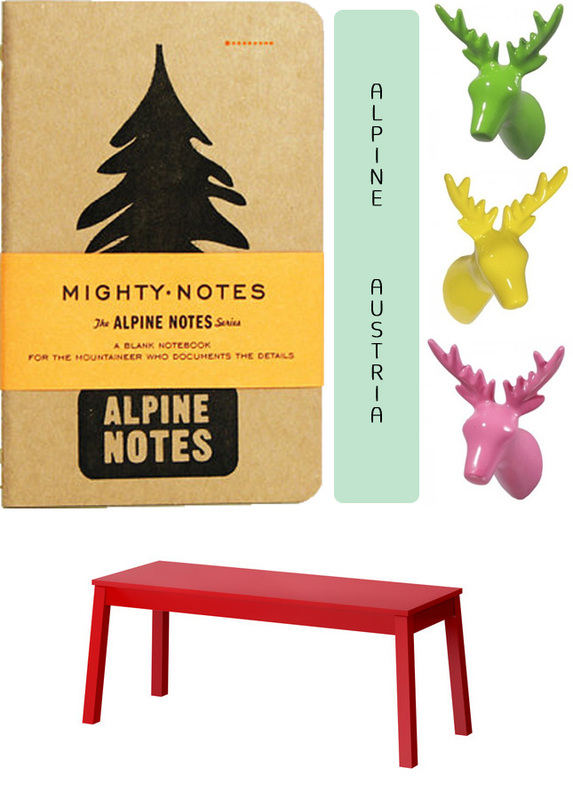 Hi Igor – I love spotting things for kids rooms and family friendly homes – these stag head hooks are great! I’ll try and find out whether anyone in the UK stocks them. Thanks! Igor, Hello from BYW! Your photo looked so familiar and I finally figured out that we had connected on twitter a while back. Congratulations on your blog. Its just lovely to look at and read. I travelled thru it and must say your’re a QUICK STUDY! Look forward to reading more.